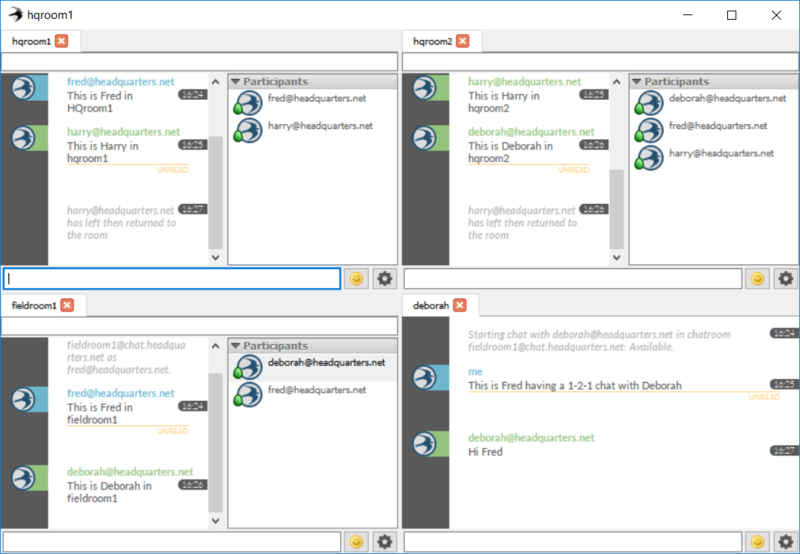 Swift Desktop is a multi-platform XMPP client for instant messaging and multi-user chat. A free and open source client (with support packages available from Isode), it contains a number of features that make it ideal for use in secure environments such as Military, Finance and Government. Combining ease of use with a comprehensive feature set, Swift Desktop is suitable for single-user use and large-scale deployments in security conscious environments. 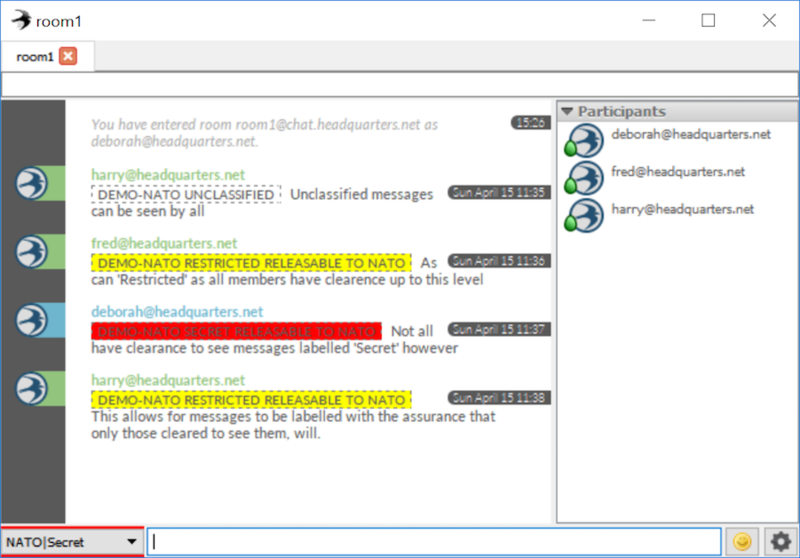 Features include easy status setting, security label support, keyword/phrase highlighting and message acknowledgement. Swift Desktop is available for Windows, Linux and Mac OSX operating platforms. Current Swift Desktop users range from individuals connecting to public XMPP services to large organisations running their own XMPP service over SatCom links. Security Labels: Swift supports the security labelling of messages, ensuring that in both MUC rooms and 1:1 chats, messages can only be delivered to those with the security clearance required to view them (requires supports from an appropriate server). Trellis Mode: Enables the user to view several MUC rooms and 1:1 chats at the same time, instead of on a tabbed interface (this needs a screenshot). Keyword/Phrase Highlighting: Easily create highlight rules for key words or phrases across multiple conversations, include the ability to highlight words or phrases only when used by specific individuals. Message Delivery Receipts: Swift can request and display an acknowledgement from the target user's client (1:1 chat). Swift Desktop supports Strong Authentication using certificates and smart-cards as well as password-based SASL authentication mechanisms. Swiften is a robust, high-quality, standards-compliant, cross-platform, and performant C++ library for implementing XMPP applications. Swiften is used as the back-end library for the Swift IM client and other open source and commercial projects. Stroke is a native Java (no JNI) port of the Swiften C++ library for implementing XMPP applications. Swift Desktop (which is written with Swiften) is an Open Source project, licensed under the GNU General Public License. Swiften and Stroke are offered under both commercial licensing, from Isode, and under the GNU General Public License. Development has been supported by Isode with the contribution of considerable engineering effort. Swift Desktop will always be a free client however Isode does offer commercial support for large installations and mission-critical environments as well as commercial licenses and commercial support contracts for Switen/Stroke. Please fill in our contact form for more information. Swift Desktop is available for Windows, Mac OS X (10.9+) as well as an AppImage for 64-bit Linux systems. Swift Desktop can be download from the Swift website, along with the source code of Swift Desktop and Swiften.